“China has now taken the lead in the global FinTech industry. 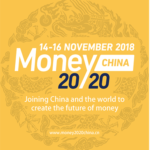 To deeply connect the Chinese and global markets, we are honoured to bring Money20/20 to China and provide a platform where China’s FinTech leaders and international innovators can connect. Money20/20, created in 2011 by Payment entrepreneurs, is committed to bringing together industry leaders and enterprises in the Payments, Financial Services and FinTech ecosystem to explore the future of money. 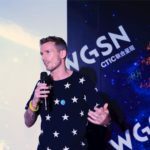 Born out of the US and now thriving in Europe and Asia, Money20/20 is now entering the world’s largest FinTech market – China – with the aim of building stronger connections between both China and the West and financial and technology sectors. Money20/20’s success internationally has been founded on the event’s ability to bring together the wider FinTech eco-system; enabling the traditional banking industry to connect with the cutting-edge technology industry; as well as connecting multiple FinTech stakeholders from all corners of the financial ecosystem; from established multinational organizations to start-ups, retailers, investors, analysts, regulators, media, and more. More than 300 Chinese and international FinTech industry leaders joined Painter at the launch. Guest speakers includedArthur Zhu, President of LianLian Pay; Raymond Qu, CEO of Geoswift; Jeff Parker, Managing Director of WorldFirst Asia-Pacific; Eric Gu, founder & CEO of Metaverse; and experts such as Dr. Ben Shenglin, Dean of Zhejiang University’s Academy of Internet Finance. The representatives from the People’s Government of Hangzhou and Xiaoshan, such as Yao Feng, Vice Mayor of Hangzhou and Sun Zhou, Deputy Warden of Xiaoshan also joined the launch event, and presented the ambitious development of Hangzhou and Xiaoshan to become a leading center of finance.